This is nothing less than a declaration that the conciliar “faith” isn’t the Catholic faith! That’s the Devil for you – slithering, sneaky and subtle for sure, but so incredibly prideful that he simply cannot help but boast aloud; in this case, via his accomplices in Rome. No news here, but still, it’s an amazing thing to witness. According even to the Conciliarists’ standards as set forth in the 1988 Profession of Faith, Jorge Mario Bergoglio isn’t Catholic! In light of Cardinal Muller’s letter, I decided to take a closer look at this Profession. With firm faith, I also believe everything contained in the word of God, whether written or handed down in Tradition, which the Church, either by a solemn judgment or by the ordinary and universal Magisterium, sets forth to be believed as divinely revealed. I also firmly accept and hold each and everything definitively proposed by the Church regarding teaching on faith and morals. Moreover, I adhere with religious submission of will and intellect to the teachings which either the Roman Pontiff or the College of Bishops enunciate when they exercise their authentic Magisterium, even if they do not intend to proclaim these teachings by a definitive act. You see, according to the conciliar mindset, “religious submission” is owed to every novelty that flows out of Rome like so much sewage; unless, of course, it happens to coincide with tradition (e.g., the salient portions of Familiaris Consorrtio). In any case, attached to the 1988 Profession on the Vatican website is an explanation provided by the CDF, then headed by the future Pontifical Abdicator, Josef Cardinal Ratzinger. No one disputes the fact that the Divine Law concerning adultery and fornication belong in this category. In his treatment of Amoris Laetitia, Fr. Gleize states many times that the text (and therefore its author) “introduces doubt” – even on such fundamental matters as the intrinsically evil nature of the aforementioned acts (adultery, fornication) and the fact that no exceptions exist in their regard. We have been living in the shadow of Amoris Laetitia (better known as “The Joy of Adultery”) for some 15 months now and Francis has done nothing to remedy the situation; indeed, on the contrary, he has only served to confirm his malicious designs. I think it’s safe to say at this point that he obstinately places in doubt doctrines that require the assent of theological faith by all members of the faithful. Note the strong language: Not only does Fr. Gleize recognize that the truths under discussion are called into question, he sees very well that they are “demolished”! * Bear in mind, Fr. Gleize isn’t even addressing what I consider the most egregiously offensive proposition in Amoris Laetitia; namely, the notion that God at times asks us to persist in violating Divine Law (cf AL 303). For some unknown reason, he chose to skip over it, and other magnificently heterodox portions of the text. Be that as it may, just for kicks, let’s grant Fr. Gleize the point that we’re not discussing dogma, which he defined as “a truth that is not only revealed but also proposed as such by an infallible act of the ecclesiastical Magisterium;” i.e., as that which has been solemnly defined. The second proposition of the Professio fidei states: “I also firmly accept and hold each and everything definitively proposed by the Church regarding teaching on faith and morals”. The object taught by this formula includes all those teachings belonging to the dogmatic or moral area, which are necessary for faithfully keeping and expounding the deposit of faith, even if they have not been proposed by the Magisterium of the Church as formally revealed. Overlooking for the present discussion the novel designation “full communion,” I think it is fair to say that based upon his steadfast unwillingness to affirm Catholic doctrine (for example, as requested via the dubia, but not exclusively), rejecting a truth of Catholic doctrine applies to Francis. This means that even according to the standard set by the 1988 Profession of the Conciliarists, Jorge Mario Bergoglio is no longer in full communion with the Catholic Church! The Society of St. Pius X does well to refuse the 1988 Profession of Faith, but they would do even better to re-evaluate their position on Francis and Amoris Laetitia in light of it. The SSPX is not going to declare that Pope Francis is a heretic. Archbishop Lefebvre didn’t declare that JP2 was a heretic, even though the Archbishop was very upset about the scandal that the Interfaith Assisi Meetings represented. It is a dogma of the Catholic Church that we must submit to the Pope, even if that means that we must, for the time being, remove ourselves from the official structure, which is currently occupied by a modernist sect. Acknowledging that Francis is the Pope is part of submitting to him. To deny that Francis is the Pope is to deny the dogma. To deny that Benedict XVI is Pope is to assert that words have no meaning. To assert that Bergoglio is pope (kinda-sorta, and mostly pretend Benedict isn’t there) is to deny reality. To deny that Francis is the Pope is to deny Church teaching. Catholic reality is based on Church teaching, and not the subjective opinions of laypersons. Yes, I commend you for acknowledging your subjectivity in asserting Bergoglio’s claim on the Papacy and in pretending not to see Benedict. It has nothing to do with pretending not to see Benedict. It has everything to do with the teachings of the Catholic faith. I understand that many Catholics today are in favor of inventing a reality, based on the problem of the Crisis in the Church. If a successive Pope makes a proclamation regarding the current situation of having two popes, then that will settle the matter. Until then, we have to go with what we have before us. Pope Francis. Is it possible to acknowledge Francis as Pope, yet assert that he has no authority in areas where his statements and declarations are not in conformity with the Deposit of Faith, the dogmas established by Christ and His Church? As pointed out by Louie, Francis is not in “full communion” with the (aka) Catholic Church and, therefore, submission to him is dangerous and imprudent. There is too much at stake here for the SSPX to be lured by his “generous” overtures. Never gamble with something you are not willing to lose. Caimbeul, Church teaching does not proclaim who is Pope. The Church teaches the nature of the office of the Papacy. It also says that the faithful must assent to the magesterium of a valid Pope. So why are so many resisting? The resisters are doing grave violence to the office of the Papacy by resisting Francis’ magesterium. If “Church teaching does not proclaim who is Pope?” than who does proclaim it? the Principal of Non Contradiction proclaims it, which is the metaphysical basis of all logic. “Something cannot be and not be at the same time” –one cannot have a Catholic Pope who is formally promulgating heresy via A.L. That coupled with Catholic Dogma makes it a 100% reliable fact the Bergolio is not the Pope. Semper, so Jesus Christ set up the Catholic Church to work just like the USA, a democracy, where the people get to decide who is and isn’t their leaders. Semper Fidelis, but I’d still like to know an answer to this question which you didn’t answer: if the teaching Church doesn’t get to proclaim who is and isn’t the Pope than who does? I’m going to sleep soon and probably won’t see if you answer but I’ll check sometime later on, God willing. God Bless to all and keep praying for the Act of Consecration of Russia to the Immaculate Heart of Mary to be done by the Pope correctly which is ultimately the only way we were told that all this confusion could ever be sorted out anyway. The Divine proclaimed the first Pope,, Peter. The successors were all chosen by man thru whatever means churchmen devised. The Divine only promises assistamce to whomever is chosen. Based on contradictions, our reason tells us that the Divine assistance was withheld from the last several “popes” chosen. Therefore these men do not recieve the Divine assistance and therefore cannot be true Popes. Why God no longer provides assistance to these men is a mystery, but it is a mystery prophecied by Marian apparitions and Holy Scripture. Johnjobilee, to answer your question more directly, I would say that the person who proclaims who is Pope is the person who is chosen as Pope. If he acts as a Pope then he proclaims his Papacy. If he acts contrary to Church teaching then he proclaims his Anti-papacy. Do not confuse these times with the past when there were two or three claimants to the See. Those times were confusion as to procedure. These times are much worse. 1. God will not be mocked. 2. You shall reap what you sow. The Catholic Church (not America) is the City set on a hill. Everyone knew what she was and what she taught until the modernists decided to stage a rebellion and change her divine mission. Dogma states that heresy, schism, and apostasy separate one from the Church. Precisely because the Church is not a democracy it makes no difference if Cardinals elected a pope–he is not and never will be if he be a heretic. This is the magisterial teaching of Pope Paul IV as CITED by the 1917 Code of Canon Law. We are not Scientology where we pay an extra $10000 to make it to the next level of knowledge. The hyper clericalism of the Novus Ordo mindset baffles when it teaches the importance of the laity. I know when a pope is no longer just failing to defend the faith and is now actually attacking it. This fact triggers his loss of office as per the 6th and 7th Ecumenical Councils who anathematized an already dead Pope. This is the constant teaching of the Fathers and manifested in Trent when they insisted on the word “quicumque” meaning “whomsoever”– including yes even the Pope—who teaches such and such heresy—let him be anathema. Dogma also teaches that the RCC possesses the Four Marks of the Church. The Novus Ordo does not possess even one of these anymore. One can be pro life or be a genocidal pro abortion politican and both are received equally at the communion rail by Bishops, Cardinals and Popes. There is no ratio left. Maybe it’s me and maybe it’s just over my head but I don’t really think you guys answered my question satisfactorily. The Bishops/Cardinals would be the vehicle to declare a heretical Pope deposed ipso facto by his heresy. In today’s Church which has been run by modernists for 60 years, this is sadly not possible, given that all of these men were appointed by modernists and are thereby guilty by association. The closest we’ve gotten to a formal procedure was the dubia—which has gone nowhere. In light of this reality, Catholics are on their own. We can’t formally depose him but we cannot acknowledge him as Pope either. It’s now become the great trial of faith. “Fideliter: When people see that Dom Gerard and the Fraternity of St. Peter have obtained from Rome the right to keep the old liturgy and the Catechism without, they say, giving anything away, some people are troubled that they find themselves in difficulties with Rome and they may be tempted in the long run to rejoin Rome, like the others, out of weariness. “Such people” they say, “have managed to come to an agreement with Rome without giving anything away”. Archbishop Lefebvre: When they say, have not given anything away that is untrue. They have given away the possibility of opposing Rome. They can no longer say anything. They must keep quiet, given the favours which have been granted them. It is now impossible to denounce the errors of the Conciliar Church. Little by little they are adhering to Rome if only by the profession of faith which is being asked of them by Cardinal Ratzinger. I think that Dom Gerard is in the process of bringing out a little book written by one of his monks, on religious liberty, and which is going to justify it. From the point of view of ideas, gently they are slipping and they will finish by agreeing with the Council’s false ideas, because Rome has granted them a few favours for Tradition. They are in a very dangerous situation. In the course of an audience which the Pope granted to Dom Gerard and to a delegation of monks from Barroux, the Pope expressed the desire to see them evolving further. He did not hide his thinking. They must submit still more to the Archbishop of Avignon and they must take care not to act in such a way as to depreciate the Conciliar reforms on the grounds that they have been granted exceptions to the Council’s liturgical rule. Also they must make an effort to bring back to Rome all those who are not yet under obedience to the Holy Father. Pressing invitations were made to them in this sense and such indeed is the aim of the privileges which were granted to them. That is why Dom Gerard wrote to Mother Anne-Marie Simoulin, to Father Innocent-Marie, to the Capuchins of Morgon and to other persons in the hope of reaching me. When Dom Gerard returned from Rome he launched his offensive to attempt to convince all those who do not follow him, to follow in his wake and rejoin Rome. Everything that was granted to them was only agreed to with the purpose of bringing about that all those who belong to or are connected with the Society should separate from it and submit to Rome. Fideliter: Dom Gerard is thus taking up the role that was Monseigneur Perl’s at the time of the Visitation in 1987. Archbishop Lefebvre: I have had the opportunity to see at least three letters sent by Monsignor Perl in reply to persons who had written to him. Its always the same thing. An effort absolutely must be made with regard to those who have not understood the need to rejoin the Pope and the Council. It is a shame, he writes, to see that there have not been more people rejoining Rome. Fideliter: You said, speaking of Dom Gerard and others: “They are betraying us, they are now reaching out a hand to those who are destroying the Church. The Liberals and the Modernists”. Is that not a little severe? Archbishop Lefebvre: Oh no, they appealed to my services for fifteen years. It is not I who went in search of them. It is they who came towards me to ask for support, to receive Ordinations and to obtain the friendship of our priests, while we would open all our priories to them to help them financially. They made use of us as long as they could. We did what we did with a good heart and even generously. I was happy to perform those Ordinations, to open our houses so that they could profit from the generosity of our benefactors. And then suddenly I get a telephone call: we no longer need you. It’s over. We are going to the Archbishop of Avignon. We have now come to an agreement with Rome. We have signed a Protocol. It is not with a light heart that we have had our difficulties with Rome. It is not for the pleasure of it that we have had to fight. We have done so for the sake of principles, to keep the Catholic Faith. And they agreed with us. And suddenly they abandoned the true fight to make an alliance with the destroyers, on the pretext that they are being given certain privileges. That is unacceptable. In practical terms they have abandoned the fight of the Faith. They can no longer attack Rome. That is also what Father Blignieres did. He has completely changed. He who wrote a whole book to condemn religious liberty is now writing in favour of religious liberty. He cannot be taken seriously. One can no longer rely on men like that, who have understood nothing of the doctrinal question. I consider in any case that they are committing a grave mistake. They have sinned gravely in acting as they have done, knowingly and with an incredible lack of seriousness. I have heard that some monks are intending to quit the Barroux saying that they can no longer live in an atmosphere of lies. I wonder how they have been able to stay as long as they have in such an atmosphere. Thank you kindly for this interview! 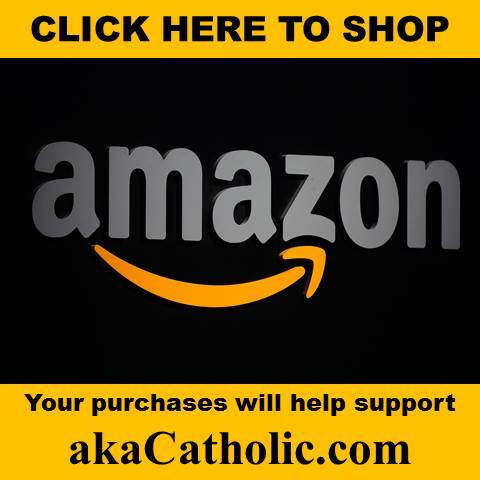 How about the SSPX? Even they seem to shy away from making any pronouncement on Bergoglio. Just wait it out until Bergoglio dies, and then the stacked College of Cardinals will elect a clone worse than him. When does it all end? I even question whether or the sacraments I receive remain valid even though I attend the TLM at my local parish which is over 95% Novus Ordo Modernist Catholics (if one can even call them Catholics). That is a critical line of thinking that hardly anyone considers. If there is doubt about validity, one must stay away at all costs. It states in Daniel that the Sacrifice will cease, not partially cease. If it has already ceased throughout the world (as of the “new Mass” in 1969 and the “new” rite of ordination of 1968), then we risk committing idolatry with a piece of bread, because our own comfort and selfish desires come first. We all desperately need to figure out where we are and what the Church really teaches about these times when the Church is undergoing a “frightful crisis” and The Great Apostasy, as well as an anti-pope or popes, and all that implies. Frightful crisis indeed. It hasn’t ceased yet. It will when they change the words of Consecration to accommodate Lutherans and Anglicans so along with NOrders they can use the same missal. Al, the only way to be certain of the Sacraments is to go to an SSPX chapel, unless your indult priest was ordained before 1968, or is ex-SSPX. “In adhering rigidly to the rite handed down to us, we can always feel secure; whereas, if we omit or change anything, we may perhaps be abandoning just that very element which is essential. And this has always been the practice of the Church.” – Vindication of the Bull, Apostolicae Curae, the Catholic Bishops of Engand. This is not a correct statement. My parish, which is Greek Catholic, gives certainty as to the sacraments. There are hundreds of such parishes scattered throughout the world. Ok, I was talking about the Roman Rite. I should have made that distinction, but I was replying to a Roman Rite Catholic. However, some Eastern Churches sometimes get a Novus Ordo bishop to do ordinations when necessary. Check out your clergy online. The SSPX does not reordain Priests who ask to be admitted to the Society. I understand what you’re saying, Al, but even as messed up as the new Mass may be, and please correct me if I’m wrong, but as far as I can tell it still maintains and upholds the most important and fundamental teachings, dogmas, and doctrines etc. of the Catholic Church. And for me, anyway, that’s the bottom line. The Novus Ordo suppresses many Catholic theological articles. The most essential one is that it suppresses the propitiatory nature (i.e. a sacrifice that makes satisfaction for sin) of the Mass. The renewal of the Sacrifice of Calvary is the central truth of the Mass, and it is suppressed in a thousand ways, both in prayers and in rubrics, all through the new mass. One of the most notable examples is that there is no Offertory. It has been replaced with a Jewish seder grace before meals prayer, but no offering of the Divine Victim. As I understand it, this causes a manifest defect of intention to do what the Church does on the part of the Priest, and therefore is invalid, or at best, gravely doubtful. So, not only is it of doubtful validity, it cannot be a pleasing rite to God, because it takes the Divinely revealed truths that Our Lord shed His precious blood for on Calvary, and attempts tp hide them from His sight under a bowl. It’s a terrible, terrible thing. A non-Catholic rite does not fulfil the Sunday Obligation, does not please God, and almost certainly does not give you the grace of a valid Sacrament. A Catholic who understands this has no business whatsoever attending it. Well said, TPS. Recall the sacrifices of Cain and Abel in Genesis. God found the sacrifice of flesh pleasing and was displeased with the grain offerings of Cain. Now recall the NO offering–we have this bread and wine to offer, fruit of the earth (vine) and work of human hands. And then in the TLM we have an offering of a Holy Spotless Victim. You tell me which one is pleasing to God based on the Cain and Abel story? I remember someone mentioning the offering of Cain and the novus ordo to me years ago, and I missed the full significance at the time. Another penny has just dropped. Thanks for pointing it out Tom! Is it “doubtful validity” or “invalid” because if it’s only “doubtful validity” I don’t see how you could say attending doesn’t “fulfill the Sunday Obligation” and even though I’ve been fortunate enough not to have to have attended a Sunday novus ordo Mass for such a long time that I can’t even remember the last one I did attend if it came down to N.O. or nothing I would still attend despite the many obvious problems with it. The Church forbids us to approach Sacraments that are doubtful. In practice, they are treated as invalid. The Church taught, before Vatican II, that in order to fulfil the Sunday Obligation, one had to be present at Mass at the minimum during the Offertory, the Consecration and the Priest’s Communion. These three elements make up the renewal of the the Sacrifice of Calvary. These three parts are absolutely essential to the Mass. The Novus Ordo does not have an Offertory. It is devoid of the Priest offering the Divine Victim as a propitiatory Sacrifice, i.e. one that makes satisfaction for sin. Who is making the offering, for what purpose, and what the offering actually is, is not clear. Pope Leo XIII teaches in Apostolicae Curae that the necessary intention to do what the Church does is made manifest by the surrounding rite, assuming there is valid form and matter being used. Since the Novus Ordo presents another faith, another theology on the nature of the Mass compared to that which the Church professes, then the intention to do what the Church does is manifestly defective, and so the new mass must be treated as either gravely doubtful – or outright invalid – due to defect of intention. I don’t think anyone does, Al. But I like your tenacity and do encourage you to persist in precisely what you are doing. There goes that subjectivity again. Please explain how the Catholic Church can have two popes. I do not need to explain anything. Sedevacantists need to know the “why” of everything. Well, only God knows exactly why we are in a serious crisis, which includes having two popes. 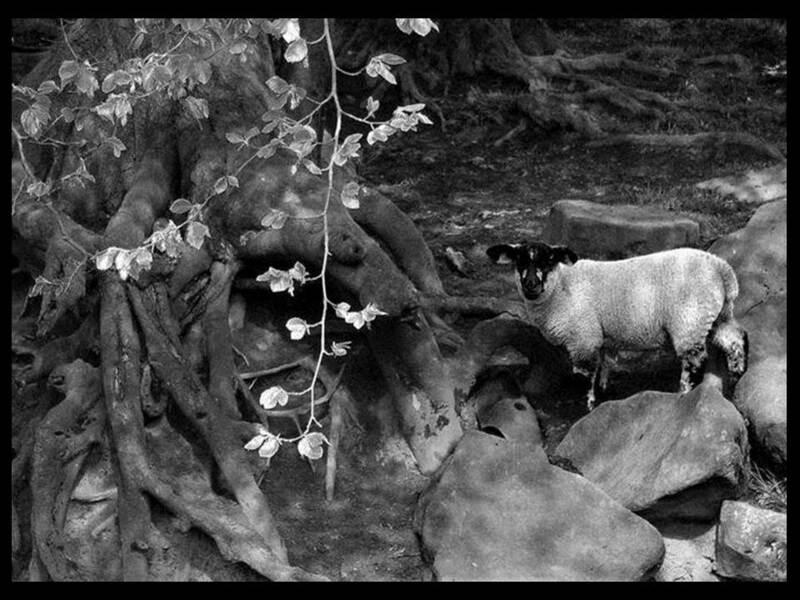 During a crisis, there are many things that aren’t black-and-white. 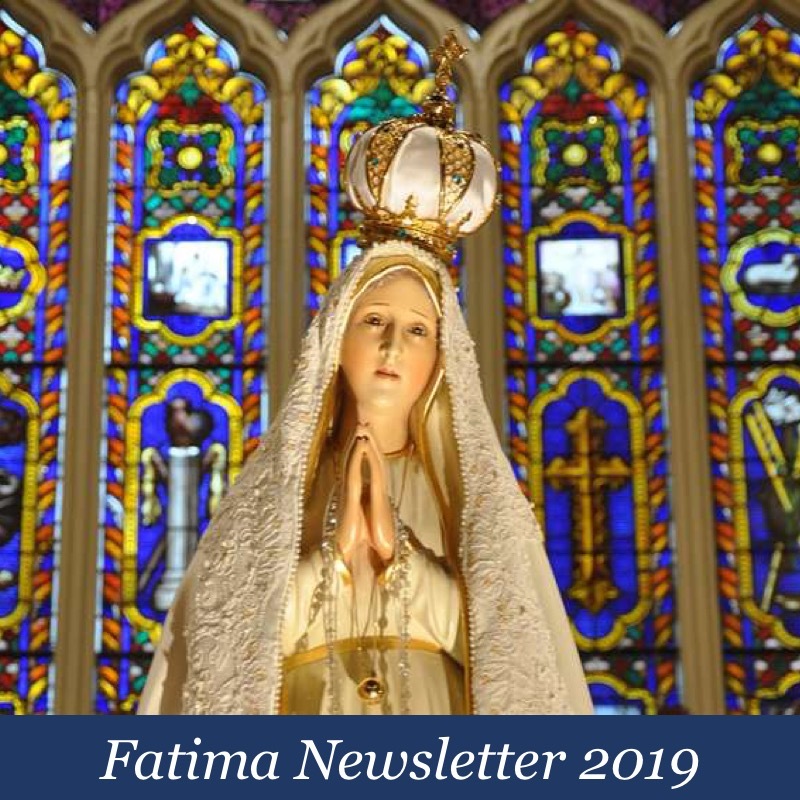 You have indicated that your position is based on Church teaching, and described the current state of affairs at Holy Mother’s Head as, “the current situation of having two Popes.” Can you not explain what you describe, and what you assert? The why is to prove the Elect. All others want a lie in place of the Truth (2 Thess Ch. 2). A. The Catholic Church can have two popes. B.The Catholic Church cannot have two popes. Which one of the above propositions is true? because they have become totally immune and indifferent to the far worst heresies against the 1st Commandment committed by , no, not pre-VII popes, but their “orthodox” pre-Francis popes. The Francis Effect: New Traditionalism hero popes are not preVII popes but now even pre-Francis popes, it’s no longer about Arch. LeFebvre, the First commandment and VII but all about (well, at least 90%) Card. Burke, the Sixth Commandment and Amoris Laetatia. The Pope Francis’s “dog and pony” show’s greatest victory not converting neocats and liberals but succeeding in distracting trads from defending what Arch. LeFebvre got “excommunicated” for defending and that which without it’s foundation they will totally, hopelessly try to defend against any other commandment and that is, of course, first and foremost defending against the more important heresies committed the last 50 years by all Popes against The First Commandment. Gladstone: I’m not sure why you’re asking me this, but the actual Church absolutely cannot have 2 Popes. Caimbeul, I think sedes just believe – with the Church – that heretics are non-Catholics, and therefore cannot hold any office in the Church, which is the “congregation of the faithful”. The thesis does leave a few questions unanswered, and that’s the holding pattern, but it does not contradict any teaching of the Church, as far as I can see. Perhaps A Catholic Thinker can parachute in and tell me in ten thousand words (no more than that) why I’m wrong, and why public heretics are in fact members of the Church, and why the Papacy is practically useless after all. Caimbeul, Im not quite sure where you get the idea that sede’s need to know the “why” of everything. They arent the ones jumping through hoops trying to explain how heretics can be popes; they simply know what is necessary to be a member of the Catholic Church, and abide by it. Sede’s are the most unconfused and at ease Catholics I know of. Excellent analysis – but you need to reset your starting point to September 10, 1910. Sacrorum Antistitum was a solemn declaration against Modernism issued by Pope St. Pius X (September 10, 1910) and required to be taken on oath by all clergy to be advanced to major orders, pastors, confessors, preachers, religious superiors, and by professors of philosophy and theology in seminaries. The first part of the oath is a strong affirmation of the principal Catholic truths opposed to Modernism: the demonstrability of God’s existence by human reason, the value of miracles and prophecies as criteria of revelation, the historical institution of the Church founded by Christ, the invariable constancy of the essentials of Catholic tradition, and the reasonableness and supernaturality of the Christian faith. The second part of the oath is an expression of interior assent to the decree Lamentabili and the encyclical Pascendi. Particular modernist errors are singled out for censure and rejection. On July 17, 1967, the Sacred Congregation for the Doctrine of the Faith issued a new Profession of the Faith to replace the longer Oath against Modernism. 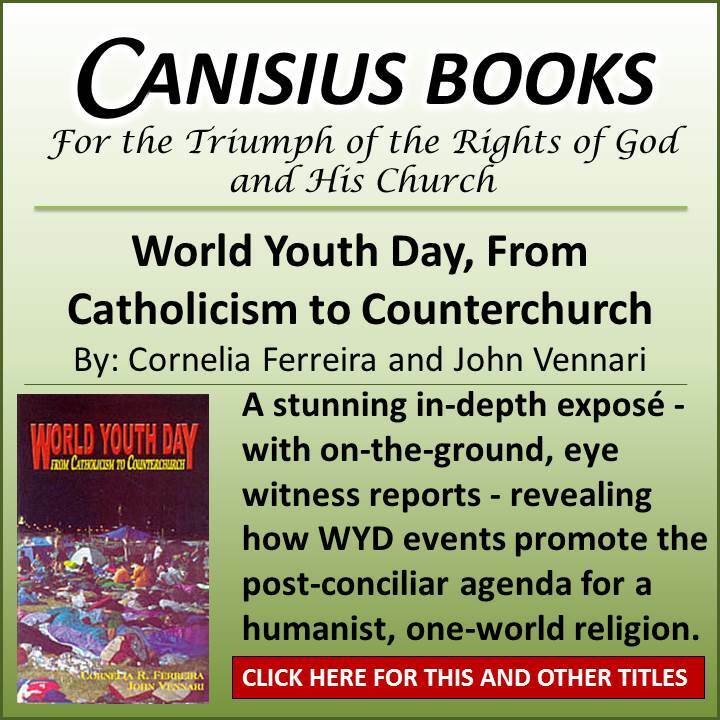 The days of yore – traditional Catholicism – effectively ended on July 17, 1967. Why? On that date Pope Saint Pius X’s comprehensive Oath Against Modernization was replaced with a tepid Profession of Faith. Arguably, the tepid Profession of Faith reopened the modernist floodgates on July 17, 1967 – and is a day that will live in modernist infamy. Despite the tepid Profession of Faith and the disastrous VII council we know that God, thanks to His limitless mercy, still sent us one last life line, Archbishop LeFebvre, to help save us from the total, utter destruction that Arch. LeFebvre knew Pope John Paul II was leading the Church into. So the way I see it, the floodgates were really opened to the terrible nightmare we see happening in the Church these days on July 2, 1988 , the day PJPII decided against saving the Church from VII’s deadly heresies and instead “excommunicated” Arch. LeFebvre. It could also probably be said this was the same day (July 2 1988, “a day of infamy) in which PJPII helped conceive, by eliminating any further possible roadblocks like Arch. LeFebvre, the future papacy of a certain Pope I need not mention. Louie, according to the link you provided for the profession of faith, the date is not 1988 but 1998 as that is when JPII signed it – May 18, 1998. I saw that too. The motu proprio of JPII and the commentary of the CDF are dated 1998, but it appears that the Profession itself dates to 1988. (There are references to it predating 1998; e.g., a 1989 interview of Archbishop Lefebvre discussing the Profession). Apparently, the three texts have been placed on a single web page on the Vatican site since they pertain to one another. It is confusing. Louie, I see that now. Thanks. Confusing? What isn’t confusing in these last 50+ years of demonic influence and control? what are you talking about? ICEL and others did precisely that in 1973 by changing the consecration to the heretical Lutheran form of “for you and for all”. Every Novus Ordo Mass was therby rendered invalid until 2011. All bets are Already off. If you dont believe me read the Catechism of Trent which discusses why “for all” cannot be used due to Lutheran heresy. Excellent point, and one that will prove irrefutable; nearly forty years of Catholics deceived by receiving bread alone. Could be wrong but I thought at consecration it’s at the exact moment when the priests says “This Is My Body” and “This is My Blood” that the bread and wine turn into Jesus’s Body and Blood so than the words “for all” would not effect that. johnjobilee—If the bread and wine “turn into Jesus’ Body and Blood”, why is it that there is so much abuse of the Holy Eucharist? The words alone are not sufficient. There must be Intent, Matter and Form…..all three very questionable from what I have observed. If a Protestant attended a N.O. mass, would they walk away convinced that Holy Communion was truly the Real Presence of Our Lord’s Body and Blood? I don’t think so. Read Quo Primum formyour answer. Read Quo Primum for your answer. 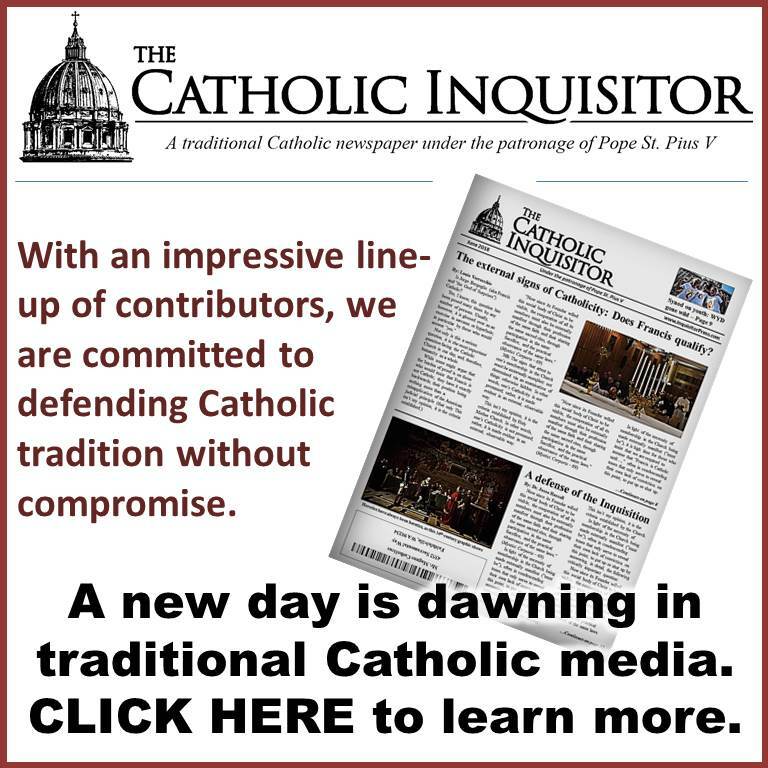 Again God will not be mocked….why should Our Lord be defamed by sacrilege and apostasy—bishops wholesale refusing to catechize their flocks, making confessions “by appointment only”, changing the Mass to ape protestant heresy. They do affect that. The Precious Blood of the Adorable Divine Savior was shed for many, but not for all. Moot point now because PBXVI changed it back. Tragically, you are not the only one who believes this as that is what the Modernist’s want you to believe. I would suggest you avail yourself of the numerous sources that have been written over the years that prove without a shadow of doubt, the New Order Mass is an abomination, a sacrilege, and was clearly invented purposefully to destroy the true Catholic faith. Just one 86 page book “The Problems With the New Mass” written by Rama P. Coomaraswamy, reveal the destruction, although it doesn’t even cover the changes in the Prayers that are also an extremely important part of the True Holy Sacrifice of the Mass that were eliminated. Simply consider the fact the New Order Mass was designed specifically to undermine the Catholic faith to make it acceptable to Protestants in the name of “ecumenism”. I know the terrible things they did to the Mass and I don’t disagree with that but nobody has proven it isnt still a valid Mass and just because it’s validity is “highy doubtful” or “very questionable” isn’t a good enough reason FOR ME to stop attending it when its the only Mass available for me during the week. Some things we just don’t have control of but those that we do, like preparation prayers before and after Mass, how we act during Mass etc. we do have control of so for me, what I personally have control of myself I do whether I’m attending the New Mass or the Traditional Latin Mass. It seems to me that one does not have to prove invalidity, but only doubt. Doubt makes the sacrament practically invalid since we must avoid doubtful sacraments. Validity is what must be proved. So the burden is on the NO V2 sect to prove validity based on pre V2 teachings. They simply can’t so they avoid the whole argument and demand those who still question validity to assent if they want their personal prelature. I would argue its the opposite like in “innocent until proven guilty” beyond reasonable doubt. Patrick Henry Omlor showed why “For you and for all men” rendered the sacrament invalid, way back in 1968. His arguments have never been refuted as fart as I know. You can get his mateial as a pdf online. Look up “The Robber Church” or his first book “Questioning the validity of the masses using the new, all English Canon”. He draws on the consistent teaching of Popes and Doctors who say that all the words following “this is the Chalice of My Blood” are necessary for validity. “Sacraments signify what they effect, and effect what they signify. The chief thing which must be signified, according to Pope Leo XIII in Apostolicae Curae, is the “res tantum” – the “reality”, the “grace proper” of the sacrament. In the Sacrament of the Holy Eucharist this “reality” or “grace proper” is the unity of the mystical body. (The Real Presence is “reality and sign” or “res et sacramentum”, not the “res tantum”). This signification is found in the words “for you and for many unto the remission of sins” – the “you and many” refer to the members of the Mystical Body, and the “remission of sins” is the cause of their unity. The Novus Ordo says “for all” and consequently fails to signify the Mystical Body or its unity. Hence the Novus Ordo fails to signify what it is meant to effect, and is by definition invalid. That is, it is no sacrament at all“. In the USA, it was October 22, 1967 (2 years before the Novus Ordo) that the ICEL “translation” of the Roman Canon appeared in the parishes. They had “for you and for all men” as the supposed translation of”pro vobis et pro multis”. The “many” signified in the proper consecration of the wine refers to the Mystical Body of Christ, the Church. The effect of the Blessed Sacrament is the union of the members of the Church with their Head, and with one another. Again, this is the effect of this Sacrament. Leo XIII teaches in Apostolicae Curae that “a Sacrament must signify what it effects, and effect what it signifies”. Saying “for you and for all men” does not signify the Mystical Body of Christ. Instead, in the interests of post Vatican II “ecumenism” the ICEL wanted to include everybody, which is signified by “for all”. Since “for all” does not signify the Mystical Body of Christ, because not all men are members of the Church, but only “many”, this mutilated “form” for the consecration of the Chalice (which actually lies and puts words into the mouth of Our Lord which He neither said nor intended) renders the sacrament invalid. It fails to signify what the Sacrament effects, and therefore does not effect what it is intended by Our Lord to signify. Correct me if I’m wrong, but I do not believe the Catholic Church is capable of producing an invalid, or even doubtful Sacrament. Therefore these men were not opperating within the Church, and not protected from error by the Holy Ghost. Worse, they are the same body of men who produced the new rites of Orders for the Priesthood and the Episcopate in 1968. Actually, this “for all”/”for many” debate is a moot point since under Pope Benedict it was changed back to “for many” which would make it valid again even if it wasn’t before which I’m not really sure about. Not a moot point. If they gave us an institutionalized invalid “Mass”, the Novus Ordo religion is not indefectable. If it is not indefectable then it is not the Roman Catholic Church proper, but some sort of imposter. Therefore all this nonesense of behaving like the Novus Ordo heriarchy is the heirarchy of the RCC is indeed the true and only moot point. As another post rightly pointed out–not only is my local ordinairy a heretic, but he is backed up by an entire institution of them, including the man sitting on Peter’s cathedra. Moot point! Even with the egregious Lutheran and Calvinistic translations removed we are still stuck with a protestant style “narrative consecration” format a protestant style “mystery of faith”, a non- Catholic offerory prayer–now a Talmudic meal blessing, and numerous other heteropraxies like the Calvinistic practise of lay ministers and communion in the hand. The Novus Ordo remains an alien cult of worship for a Catholic. “Protestant style” but still Catholic at its roots. Thats why it’s only “highly doubtful” that its invalid because it still has maintained the basic truths that only Catholicism holds. as true, which is pretty miraculous considering the blatant intent to destroy it completely. But once again God has and will prevail! Protestant at its roots as a simple pew survey at your local parish will demonsrtrate. No small coincidence thatvPaul VI makes his “smoke of satan in the sanctuary” comment around the same time. Jacobum, a Catholic does not tell Christ’s Vicar on earth that he will not serve. That separates one from the Church and salvation. One can however tell an apostate like Bergolio where to go. Can you not see the contradiction in believing Bergolio to be the Pope? the REAL reason for the continued separation has very little to do with theological kerfuffle. It’s because Lefebre (sic) – why should I even bother to spell it correctly…he is lost to Hell, most probably – conspired to assassinate John-Paul I. That’s it. That’s why Cardinal Villot died under arrest – he gave the wine sleeping potion…whoever shot the air bubbles between the toes is unknown to me. Probably some Italian arch-conservative. That’s also why the Papacy has not been returned to an Italian. Understood. You and I agree on this point.